"Brigsby Bear Adventures is a children's TV show produced for an audience of one: James. When the show abruptly ends, James's life changes forever, and he sets out to finish the story himself." Sounds kind of weird, right? Well, it's actually even weirder. But it also makes for a great movie! Without getting into a lot of details, this is ultimately a story about finding your place in the world. Sometimes we find ourselves in strange and uncomfortable situations, but we have to adapt. Sometimes that means changing, sometimes that means clinging to the past, but more often than not it's a combination of the two. As the previously mentioned James embarks into a new world he never knew, he brings along Brigsby, who was with him from childhood through his entire life. Not only does this give him a way to bond with those around him, it helps everyone learn that sometimes doing things "just right" isn't really right. This movie isn't perfect, but while the plot seems to jump to conclusions to drive the story, it's easily overlooked when you see the performances. Kyle Mooney does an excellent job with the socially awkward James. The way he presents some of the simpler things in his life are what makes the character so strong. The supporting cast also brings their A game. Greg Kinnear plays a detective who learns a lesson about doing what you love in life. Jorge Lendeborg Jr plays Spencer, James' friend. I loved this character, sort of your realistically typical high school senior. And of course Mark Hamill brings a solid performance and provides plenty of great voices for the characters in the Brigsby Bear show. As a whole, yeah this movie is a little strange but I really enjoyed it. It's lighthearted and lets you just enjoy the story. I highly recommend this one! 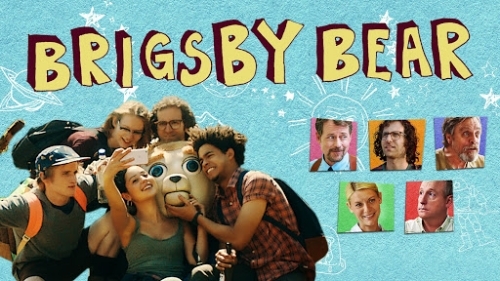 Have you seen Brigsby Bear? Let us know what you thought in the comments!